In large reception areas, it’s important to make wayfinding easier by offering signage and other solutions to help new visitors figure out where they need to go. Make sure that the elevators, bathrooms and other common destinations are clearly marked. Ideally, you want to install a modern wayfinding kiosk that not only allows people to navigate around your office, but can even help them locate resources and individual employees. OfficeSpace’s Visual Directory® for Kiosks is a great example of modern technology that makes it easy for visitors and new employees to understand the layout of your office. 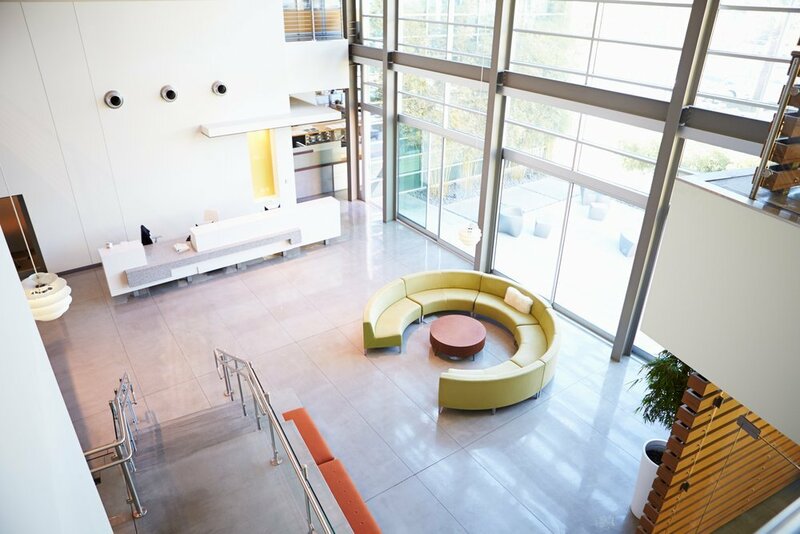 Take a look at these entrance photos collected by Office Snapshots, and you’ll see that Skype has both a reception desk with its logo carved into its front side, and a television screen displaying the company logo. 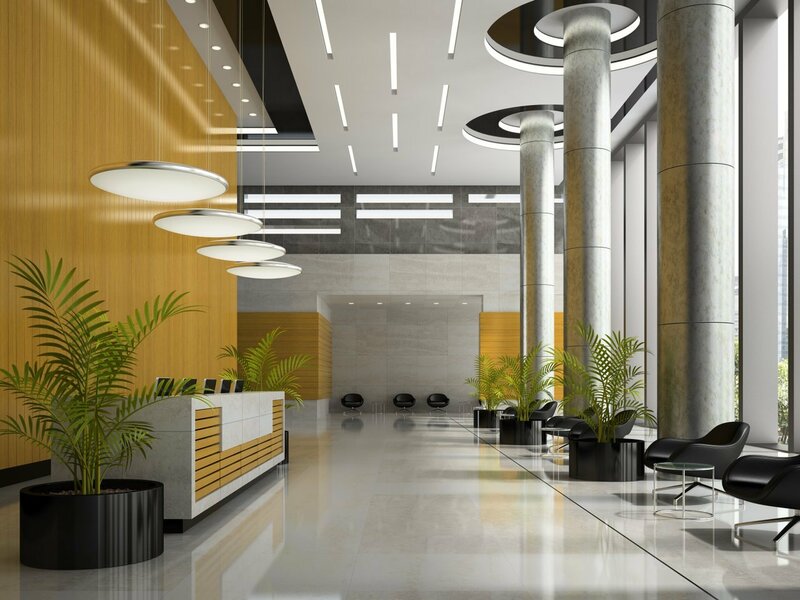 Instead of creating a bland reception area that looks like any other, use the opportunity to show visitors what your brand is all about. Is your company a funky startup or a distinguished investment firm? Whichever, make sure the lobby reflects this. 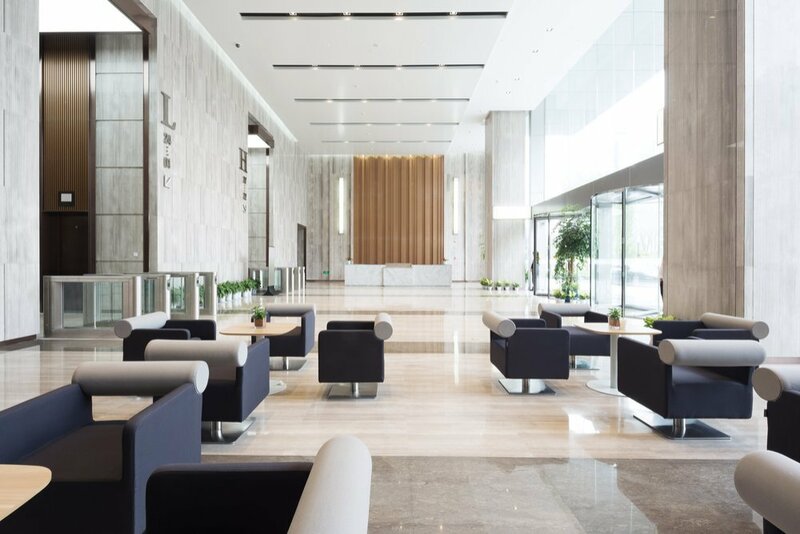 From the reception area to your back office, OfficeSpace has every feature needed to help you plan, create and manage an effective office environment. Request a demo and see what you’ve been missing.